The hike to San Gabriel Peak and Mt. Disappointment is perhaps one of the most perfect hikes in the Greater Los Angeles area. It offers the chance to bag two peaks on one hike, has incredible views, contains historic sites, and offers a hiking experience from an ultra easy walk to a challenging strenuous climb. The beauty on this hike is evident long before you exit your car at the Eaton Saddle Trailhead. Located just 30 minutes from the Valley or the Silverlake areas of Los Angeles, the trail is quickly and easily accessible to a majority of area residents looking for a short hike with lots of features. The 14-mile journey on the CA-2 through the Angeles National Forest is thrilling, twisting drive with unparalleled views of the mountains appearing around every serpentine curve. The trailhead offers not one, but two different views. 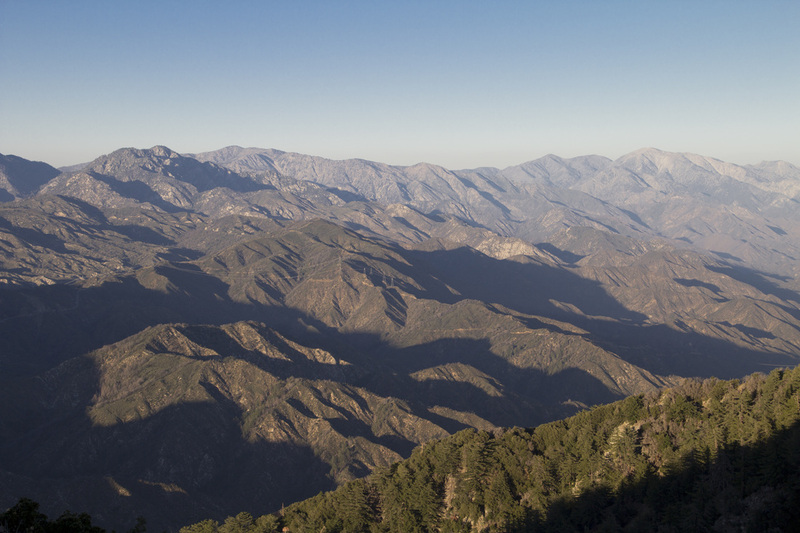 The first looks east across the canyons and peaks of the San Gabriel Mountains toward Mt. Baldy, while the second faces southward across Eaton Canyon to the San Gabriel Valley. For all it wonders, the trail is refreshingly light on visitors, making it ideal for hikers looking for a little solitude with a view. I recently made four separate trips to the summits of San Gabriel Peak, Mt. Disappointment and the nearby Mount Lowe and had the summits of all three mountains to myself, even on a Saturday. The trail begins at Eaton Saddle with its aforementioned views on Mt. Wilson Red Box Road. There is a small parking area on either side of the road, which can accommodate about 15 cars. 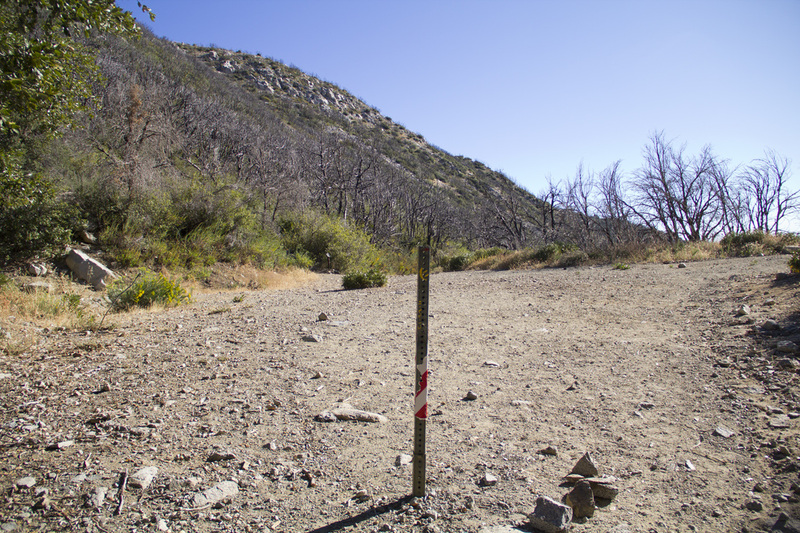 From the trailhead, hikers will follow the Mount Lowe Road dirt fire road for approximately one half-mile to the first trail junction. 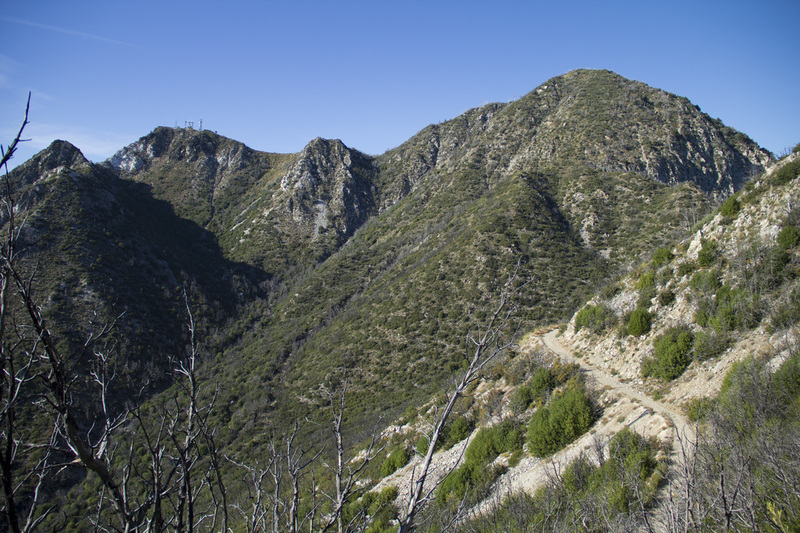 The road is wide and level, though a bit rocky, hugging the granite cliffs on the southern flank of San Gabriel Peak, skirting the upper reaches of the heavily wooded Eaton Canyon. At the quarter-mile point you will reach the Mueller Tunnel. 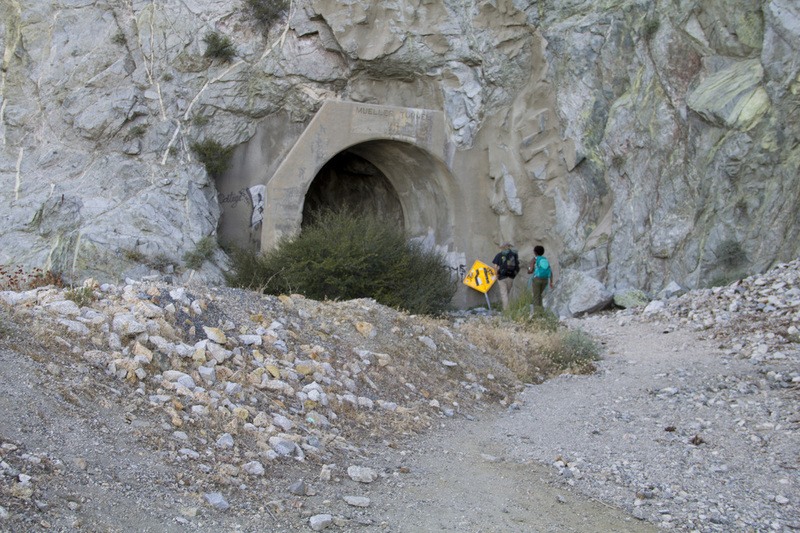 Constructed in 1942, the tunnel was blasted through the granite bluffs to provide passage around the upper terminus of Eaton Canyon. From the tunnel's exit it is another quarter-mile hike to Trail Junction 1 at Markham Saddle through a grove of oak and pine trees offering about the only shade you will find on this hike. Mt. Markham is the tall pyramid- shaped mountain looming above you on your left. As you near the first trail junction you will pass a perforated metal pole placed in the middle of the trail and cross onto a small open plateau, Markham Saddle, with its grand, sweeping view of Bear Canyon. Above you and to your right is an old concrete water tank. This is Trail Junction 1 and offers hikers several options depending on their destination. 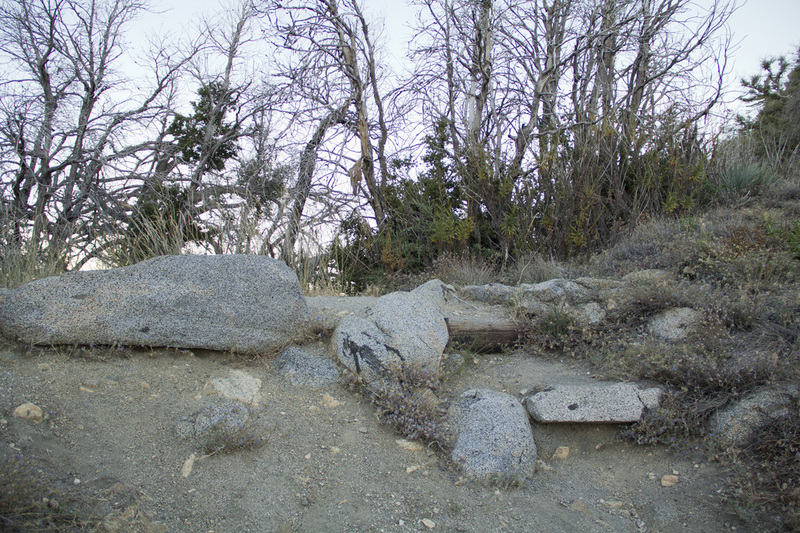 To the left is an unmarked and unmaintained trail that, with a little bushwhacking, will take you to the summit of Mt. Markham. A little beyond that is the Mount Lowe Trail East single-track leading to Mount Lowe. 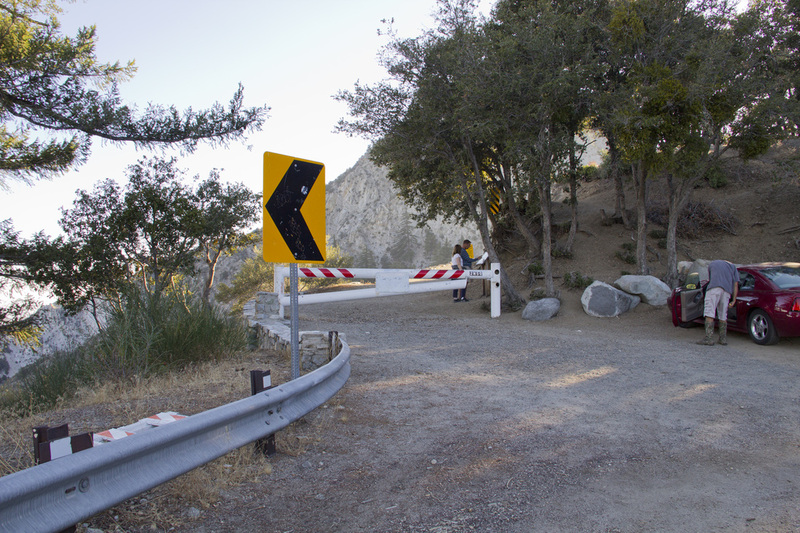 Continuing on the fire road will take you around the north face of Mount Lowe and down to the Mount Lowe Campground, site of the former Ye Alpine Tavern. For the purposes of this hike, however, turn right just past the water tank onto the marked single-track San Gabriel Peak/Mt. Disappointment Trail. 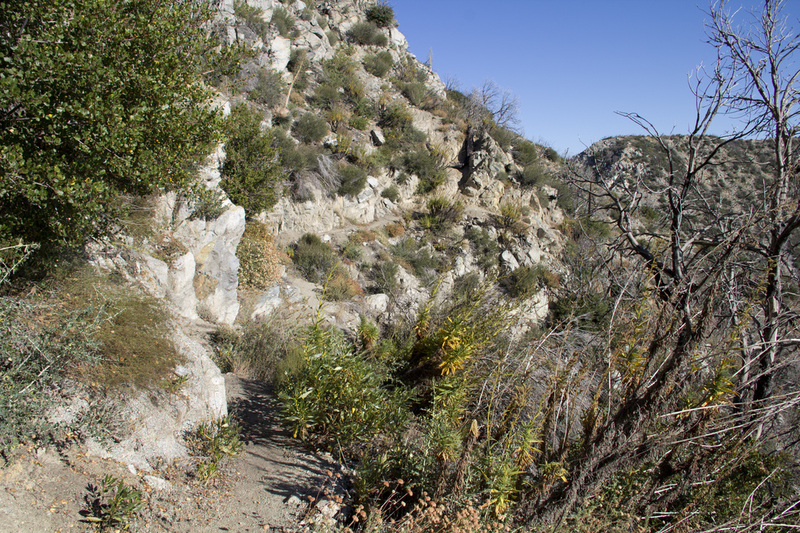 From here the trail becomes moderately steep as it winds and twists along the granite bluffs and gullies on the western flank of San Gabriel Peak. 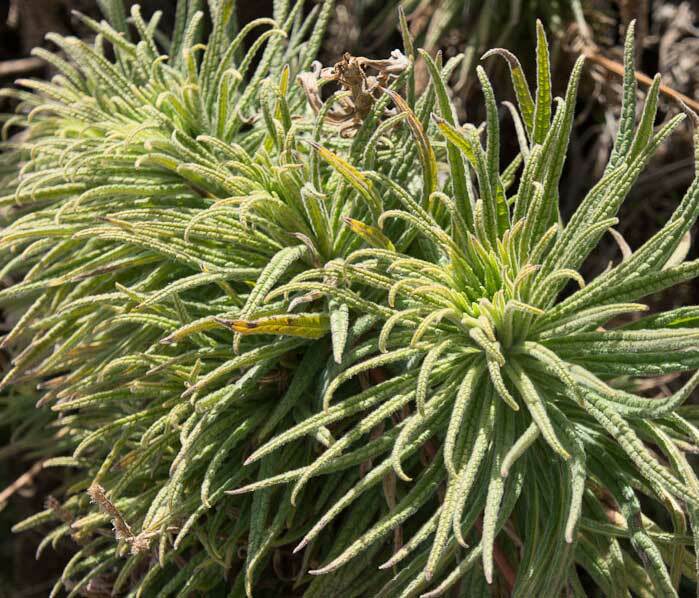 It is along here you are most likely to encounter the dreaded Poodle Dog Bush. This woody perennial shrub with long, narrow leaves and purple flowers (July and August) grows heavily along the side of the trail and contains an oil that can cause skin irritation, rashes and blisters similar to Poison Ivy and Poison Oak, only worse. 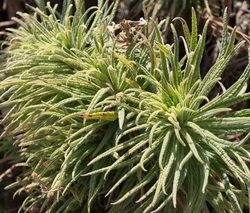 The plant is a fire-follower and is often the dominant plant species until other plants recover. Since this area was severely burned in the 2009 Station Fire, evidenced by the numerous dead Manzanitas, Oaks and Pines, Poodle Dog Bush can be found in abundance here and should be avoided. After .65 mile on this section of trail, you will reach Trail Junction 2 in the saddle between Mt. Disappointment and San Gabriel Peak. For those who only want to go to San Gabriel Peak, turn right and follow the single-track San Gabriel Peak Trail to the summit. For the more adventurous, turn left at the trail junction and proceed uphill on the Mt. Disappointment Trail for about 50 yards to Trail Junction 3 and the ruins of the Nike Missile Base. At Trail Junction 3, you will emerge from the woods onto a paved asphalt road. The concrete slabs that mark the site of the barracks and mess hall for the Nike Missile Site are directly in front of you. During the height of the cold war, the US Army operated a number of Nike Missile sites around American cities to protect them in the event of a Soviet attack. This is one of the sites that protected Los Angeles, although protect is a dubious term. The idea was to shoot down any incoming nuclear missile, but since the technology did not allow for the direct targeting of the missile, a barrage of American nuclear missiles would be launched at the incoming projectile in an attempt to disrupt the enemy's missile before it reached its target. The hope was the incoming missile could be destroyed at least 90 miles from Los Angeles, but in reality would probably be closer, thereby showering Angelinos with American radioactive fallout instead of Soviet fallout. It seems to be a case where the cure was worse than the disease. Fortunately, no Nike system ever had to be activated and the entire program was dismantled in the early 70s. From the remains of the Nike Missile Base, continue uphill on the paved road to the summit of Mt. Disappointment. It was on this summit that the Nike missiles were deployed. The launch pads and missile silos have been removed and the summit now plays host to an array of military telecommunications equipment. The views, however, remain, and there are some gorgeous views across the mountains and the Los Angeles Basin. To learn more about the Nike Missile Bases that once surrounded Los Angeles, you can read our blog post about LA-88 located on Oat Mountain by clicking here. Mt. Disappointment received its name when a US Geological Survey team sighted the mountain from the Santa Susanna Mountains in 1894, believing it was the highest peak in the area. Upon arriving at the mountain the team was 'disappointed' to discover that San Gabriel Peak was taller by 167'. After reliving a bit of history on Mt. Disappointment, make your way back down the roadway to Trail Junction 3 and backtrack to Trail Junction 2. 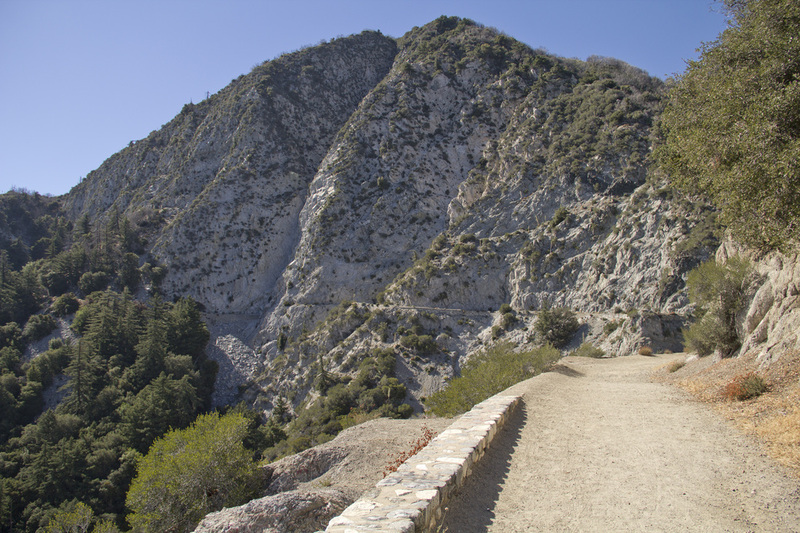 Continue through Trail Junction 2 and begin to ascend the San Gabriel Peak Trail. The trail winds back and forth through a series of switchbacks from the north face around to the east face of the mountain. Just below the summit the trail passes through a grove of oak and pine, providing some shade to counter the leg-burning climb. Both the road to the summit of Mt. Disappointment and the single-track San Gabriel Peak Trail are quite steep, but relatively short. Happily, the views from both are well worth the effort. 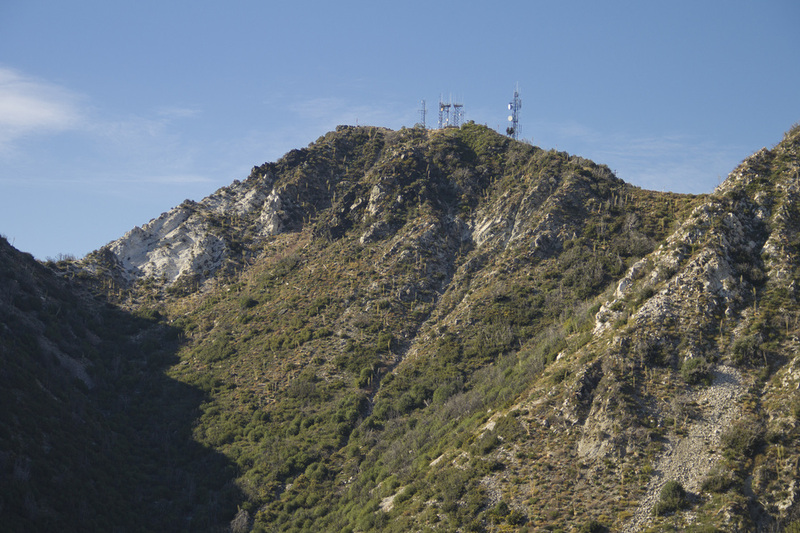 The summit of San Gabriel Peak is a small knob with virtually unobstructed 360° views. In fact, the Sierra Club once claimed on clear days you could see 49 peaks above 5000' from the summit of San Gabriel Peak. Unfortunately, the last time there was a day that clear in Los Angeles was back in 1947. Even so, the views from the summit are nothing short of stunning. From here you can peer deep into the San Gabriel Mountains, gaze across the Los Angeles basin to Pacific Ocean, and soak in the views of the Santa Monica Mountains on the far side of the San Fernando Valley. There is also a long bench on the summit to allow for a little recovery before making your way back to the parking area. The summit of San Gabriel Peak is also a great spot to watch the sunset as the twinkling lights of Los Angeles flicker to life. If you stay for the sunset, flashlights are required for the descent and sturdy hiking boots are recommended. All in all, the hike to San Gabriel Peak and Mt. Disappointment is about as perfect as you could hope for. trail options. For this hike, turn right on to the San Gabriel Peak/Mt. and is moderately steeper. Continue for .65 mile to Trail Junction 2.
for 52 yards to Trail Junction 3. If you are bypassing Mt. mile to the summit of San Gabriel Peak. mile on the the asphalt road up to the summit of Mt. Disappointment. the pavement makes the climb a little easier. The 18th highest peak in the San Gabriel Mountains, Mt.